The Benchmark Clinic of Integrative Medicine » What Advanced Nutrition Training Do Naturopathic Doctors Receive? Nutrition is often a pivotal component of an individual’s journey toward optimal health. Poor diet is also the leading preventable risk factor for disability or early death in the United States. 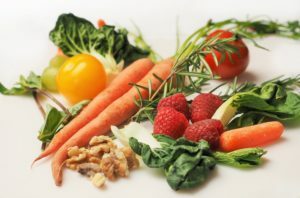 However, despite this and rising rates of obesity, diabetes, and other nutrition-related diseases, many U.S. healthcare providers are not adequately trained to address nutrition in a way that could help patients build a stronger foundation of health, or even lessen disease development or progression. Naturopathic doctors (NDs) recognize nutrition as a cornerstone of health. During medical school, ND students complete an average of 155 classroom hours of nutrition education, and coursework is similar to that taught to registered dietitians, with a focus on primary outpatient care. NDs’ understanding of food as medicine, passion for nutrition, and rigorous nutrition training enables them to go beyond offering patients dietary guidelines. Naturopathic doctors provide individualized nutrition assessment and guidance utilizing evidence based nutritional recommendations. They tailor nutrition treatment to a patient’s health concerns. They also empower patients to integrate better nutrition to support optimal health. Collaboration with registered dietitians, as needed.Many health symptoms and conditions have nutrition at the root of the issue. Trained to address root causes, naturopathic doctors are expert at identifying illnesses and conditions with nutritional causes and tailoring treatment to individual patient needs.